Editor's note: The following article, coming in the aftermath of the Supreme Court's historic United States v. Lopez (entire ruling) decision that severely restricts federal jurisdiction in criminal matters, expresses the belief that most federal prisoners - even those who committed violent crimes - should be released because they were unconstitutionally convicted. This view may offend the sense of decency and social responsibility shared by some readers, especially those who have fallen victim to violent crime or know of those who have. The author addresses these points herein. Because our form of government is it stake, and because we believe preservation of the Constitution outweighs the release of some criminals who should without doubt remain incarcerated, we offer the article for your consideration. More than 60 percent of federal prisoners are locked up for IRS violations, political and victimless crimes, etc. They and most other federal prisoners are incarcerated in violation of the Constitution of the United States. Every one of them, except those being held for the crimes of treason, piracy on the high seas, counterfeiting gold or silver coin or committing a criminal act in Washington, D. C. or on some military reservations, can be freed from the sentences imposed upon them by the federal courts . Every word you have just read is true. This was proven as recently as April 26, 1995 in the Supreme Court's landmark Lopez decision. This writer believes that federal prisoners who do not fall into the categories enumerated above can get out of prison by filing a writ of habeas corpus and an appeal of their conviction based on challenging federal jurisdiction to bring charges against them for crimes they were convicted of, if they occurred within the borders of a state. Consider a magician's performance. He distracts you by directing your attention to his right hand while his left hand is placing the coin in your ear. That is what the corrupt employees of the federal executive branch have been doing to our nation's citizens for over a century. They direct your attention to charges and long-established procedures, and defendants trying to fight their individual charges fail to note the deft hand which steals their freedom by fraudulently asserting authority they do not have. More than a century ago, attorneys seized inordinate power in the court system. Prior to that time, every person who was charged in federal court with a crime that allegedly occurred within the borders of a state, and who challenged federal territorial jurisdiction, gained his freedom by either having his case dismissed or his conviction overturned and being set free. Consider the following passage, quoted in the 1995 Lopez decision, where the Great Chief Justice John Marshall made clear in his famous decisions of New York v. Milne 36 U.S. (11 Pet.) 102 (1837) and People v. Godfrey 17 Johns. 225 (N.Y., 1819) that the federal government is prohibited by the Constitution from assuming any police power within a state. The following excerpt from Godfrey is clear: "To oust this State of its jurisdiction to support and maintain its laws, and to punish crimes, it must be shown that an offense committed within the acknowledged limits of the state, is clearly and exclusively cognizable by the laws and courts of the United States...to bring the offense within the jurisdiction of the courts of the union, it must have been committed out of the jurisdiction of any state; it is not the offense committed, but the place in which it is committed, which must be out of the jurisdiction of the state." (17 Johns., at 233). The chief justice made clear that under the Constitution, the federal government was specifically restrained from exercising any general police power whatsoever within a State which is not specifically enumerated in the Constitution. But this creates a conflict of interest for the attorneys, who in representing the accused in a criminal matter can charge much higher fees than if they simply pointed out to the judge that the Constitution granted him no jurisdiction in the case. This conflict of interest extends, of course, to the prosecutor and even to the judge himself. After all, if the defense attorney needs the business to justify his livelihood, so do they. The consequences, with respect to justice for the citizen, are catastrophic. Stated succinctly, were the attorneys to assert the challenge they have avoided for over a century, and protect Americans from this phony jurisdiction, it would be bad for business. If the king has no clothes, what happens to his tailors? 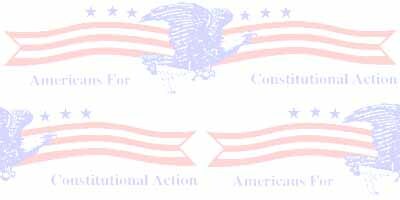 The problem is compounded by the illegal and unconstitutional Executive actions called "Executive Orders," in which the executive branch arrogates unto itself the authority to legislate, beginning with The War and Emergency Powers Acts. While that is the subject of a whole separate dissertation, suffice it to say that with the emergency order enacted by FDR on March 9, 1933, the Constitution was illegally suspended and a state of war was quietly declared on all Americans by the corrupt officials who have taken over control of the executive branch of our government. In 1978, Congress, via reaffirmation of the Emergency and War Powers Act, further acquiesced to the executive branch and allowed treason against "We the people" when they approved the addition of a clause that provided for the "seizure of life and property of any person within the United States, without the necessity of stating a cause or purpose." "on appeal [for the first time in over a century, a federally charged American], the respondent [Lopez], challenged his conviction based on his claim that §922(q) [the federal crime he was convicted of exceeded Congress's power to legislate under the Commerce Clause. The Court of Appeals for the Fifth Circuit agreed and reversed respondent's conviction. It held that, in light of what it characterized as insufficient congressional findings and legislative history, section 922(q), in the full reach of its terms, 'is invalid as beyond the power of Congress under the Commerce Clause.' 2F. 3d 1342, 1367-1368 (1993)." It is therefore crystal clear to this observer that a high percentage of federal prisoners could gain their freedom by filing a writ of habeas corpus and an appeal based on the Lopez case. The American system of justice demands that all who are accused be convicted legally in accordance with the Constitution by a court with jurisdiction over the person, the crime and the place before they are condemned to lose their freedom, life or property. This applies even to violent offenders convicted without jurisdiction as well as to political prisoners (e.g. tax protesters), those convicted of victimless crimes (e.g. drug offenses), etc. Whenever courts direct jailers to release groups of prisoners, those who benefit financially by operating the jails and courts will always include violent criminals whom they know will commit violent crimes upon release, thus justifying their position of assuming illegal power to incarcerate. This must and can be prevented by a method suggested in the "Erwin Rommel School of Law" series. Every reader of this article and every family member of federal prisoners should sit down and write a letter of demand to their congressman, with a copy to the Supreme Court. The demand is that the decisions of which prisoners are to be released upon their appeal under LOPEZ must be made, not by those who have a vested interest in frightening us to death by releasing violent malcontents, but only be panels of citizens, delegated by their communities and operating under the common law right to protect the community. For any undesirable released, the fault lies squarely with those who allowed the problem to arise, and the concerned citizens of the community will remedy the errors of the system despots and they will not allow dangerous criminals to be released into their communities. Once "We the people" realize that the "king has no clothes," the Washington based protective system for corrupt officials will crumble, and they will be forced to answer to the people of the States. The federal virus of "sucking at the public trough" will become checked, and federal government will shrink to the size necessary to carry out its valid constitutional duties. Crime control will become the responsibility of the people of the States, who will dictate to their servants how and what to do about controlling it. The most insidious and destructive force of organized crime in the world, the corrupt federal, state and world leaders, will have been checked. We may go through a temporary period of pain in the process but the lasting benefits to be gained will certainly pale that pain by comparison. The best thing that could happen to this country and the danger posed to it by the nearly completed takeover of the world by the New World Order is for "We the people" to realize that we are not evil by virtue of our realization that the "king is naked." The "king really is naked" of constitutional authority to facilitate the destruction of World freedom in the manner we have come to accept as inevitable Start writing those letters, and calling your congressmen. Do your part in sharing this message with "We the people." Make as many copies as you can afford to make and pass them out to everyone along with a copy of the complete text of the Lopez decision, or at least a condensed version Charge every person you talk to with getting at least one copy of these documents into the hands of a family of a federal prisoner Yourself get at least one copy to an inmate of a federal prison Get copies of the 5th Circuit Appeal brief filed by Lopez and get that inside of a federal prison. Your efforts will culminate in a victory for "We the people" by bringing national media attention to the mass exodus from the federal prisons, and the reason why Because corrupt officials who have gained control of our beloved country and government have gone too far, and this cancer must be purged from our vital organs or it will surely annihilate us all. "We the people," in God we Trust. All else are suspect. When they rise to a position of power in the government of "We the people" they must be thoroughly investigated to verify their honesty and loyalty to God, and lacking that morality and dedication to human justice, they must be made to answer for their immorality, and crimes against God and man Also, since all attorneys are charged with being competent to represent a defendant, they "knew or should have known" that the jurisdiction defense would have saved those individuals convicted of crimes only cognizable in state courts, and this writer believes they can be sued under Title 42, USC, §1983, et Seq., for conspiracy with government agency officials to violate their civil rights Big bucks await those who have the dedication to see such a suit through. Pat McMillan, 52, is a freelance writer currently involved in litigation with the federal government over a charge of willfully damaging vegetation. He is a member of the Association of Former Intelligence Officers. McMillan hosts the Dave Hinkson Radio Show on Freedom Radio Network, broadcast on WWCR (shortwave 3.315 MHz, 90 meter band) and on satellite, Galaxy 6, Channel 14, Monday through Friday from 10 p.m. to 1 a.m. PST, with reruns from I to 4 a.m.